Posted by GayPatriotWest at 9:45 pm - September 11, 2008. Ever since I met Tracy Martin shortly after moving to LA, I knew she’d make it big. Or maybe I just believed she’d make it big because she’s one of those actors who came out here & can actually act. Â Tracy has a great sense of timing which serves her well in comedy. Â She made me laugh when doing a staged reading of spec scripts for various sitcoms. Not just that, she’s got great vocal talents as well, able to do a variety of different voices and numerous inflections in each one. You don’t have to come to Hollywood to see this talented actress on stage. Â You just need turn on the Disney Channel on Friday, September 12. Â She’ll be guest starring in Imagination Movers on at 7 or 10 AM (depending on your time zone). You’ll get to see a future Hollywood star (and all around good person) with a true gift for physical comedy, just like her idol. Posted by GayPatriotWest at 8:18 pm - September 11, 2008. I spoke at the memorial service for one of them, Mark Bingham. I acknowledged that few of us could say we loved our country as well as he and all the heroes of September 11 had. The only means we possess to thank them is to try to be as good an American as they were. We might fall well short of their standard, but there is honor in the effort. 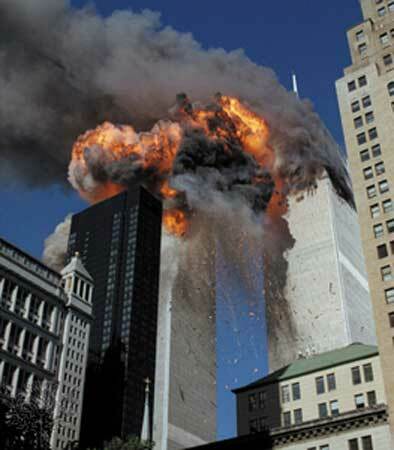 Posted by Bruce Carroll at 6:00 am - September 11, 2008.